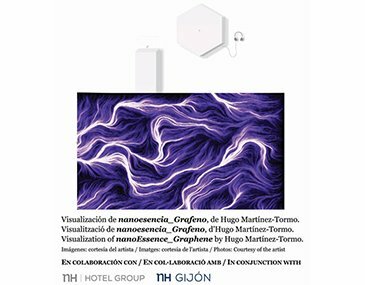 His work, a Generative Art audio-visual installation, will be on show at the Centro de Arte y Creación Industrial in Gijón from July 11, in dialogue with other pieces from the olorVISUAL collection nanoEssence_Graphene, a project by the Valencian artist Hugo Martínez-Tormo, has been selected winner of the Production Grant offered by LABoral and the olorVISUAL collection, an annual competition launched to offer a production residence to a European artist no older than 40 for the realization of an art project spanning the fields of art, science and technology. 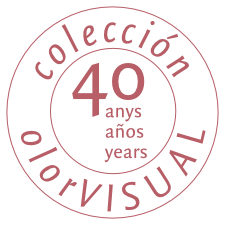 The olorVISUAL collection awards a Production Grant of 12,000 euros for the execution and exhibition of the selected project. In addition, the olorVISUAL collection will acquire the work resulting from the production residence for a sum not exceeding 8,000 euros. The project by Hugo Martínez-Tormo has been selected from the 41 submissions by a jury chaired by the collector Ernesto Ventos and composed of Cristina Agàpito, Director and Curator of the olorVISUAL collection; Alicia Ventura, Cultural Manager and Director of the DKV Art Collection; Vicenç Altaió, writer, poet, art curator, cultural adviser to various institutions and former Director of KRTU and Arts Santa Mònica; Oscar Abril Ascaso, Director of Activities at LABoral, and Mónica Bello, Artistic Director of the Vida Art and Artificial Life International Awards.